posted by: John H. Jones - President, LabLynx, Inc. I have been experimenting with a very cool data visualization tool for the past year. The tool is called Tableau. 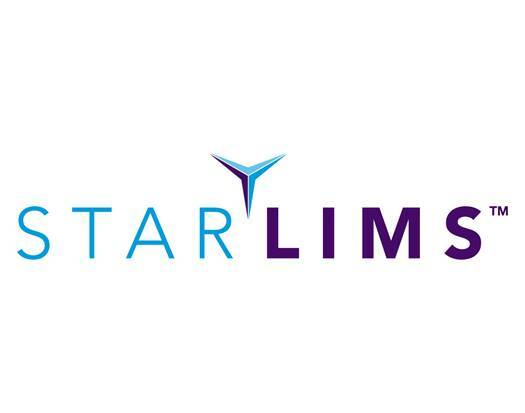 With the large amount of data that is collected by a LIMS, the laboratory can use a self service tool like Tableau to empower their customers to visualize the data provided by the lab. Have you been challenged with developing a training program for your organization? If so, the four techniques discussed can help ensure quality training that accelerates and enhances the learning experience of its audience, as well as improving the retention and effectiveness of the training. Colin Thurston, Director of Product Strategy, Process Industries, Thermo Fisher ScientificWater companies in the UK are required to comply with stringent national and European Union (EU) quality standards. The latest UK legislation came into force in April 2010, under the title “The Water Supply (Water Quality) Regulations 2010, with the aim to ensure the quality of water intended for domestic purposes or for use in a food production undertaking. The EU Drinking Water Directive 98/83/EC sets quality standards for drinking water quality at the tap and the general obligation that drinking water must be wholesome and clean. Attend the webinar to understand the differences between federal and most other states hazardous waste management requirements and California’s rules to avoiding such harsh consequences by internalizing compliance assurance. Understand the steps of a extractables / leachables study, get knowledge about the gap analysis of literature sources and how to design an efficient E/L study. Terso Solutions, Inc. has expanded its line of RFID-enabled enclosures with the addition of a new refrigerator that is well-suited for hospital and laboratory inventory management. The Cambridge-based biopharmaceutical company Kymab has implemented the Electronic Laboratory Notebook system ConturELN. The system will be used for research documentation and knowledge sharing, and to allow the rapid assessment of progress in order to streamline the company’s R&D process. 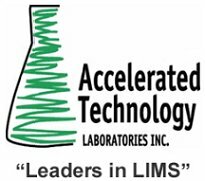 Accelerated Technology Laboratories, Inc. (ATL), a leading supplier of Laboratory Information Management Systems (LIMS), is excited to announce its partnership with CambridgeSoft® Corporation to provide the integration of ATL TITAN™ Chemical Management Package and CambridgeSoft Available Chemicals eXchange (ChemACX). ChemACX will add another level of data management to ATL TITAN™'s Chemical Management Package, a highly configurable SOA solution. Thermo Fisher Scientific Inc., the world leader in serving science, today announced the availability of a new Thermo Scientific Atlas Chromatography Data System (CDS) instrument control software for the Shimadzu Prominence(R) and Prominence XR HPLC. Seamless control of Shimadzu's Prominence is now possible at no extra cost as no connection license is required. Locus Technologies (Locus), the industry leader in Web-based environmental software, announced today that it has been awarded a contract from Los Alamos National Laboratory (LANL) to manage LANL's environmental data in Locus' Cloud. The contract is worth up to $2 million from 2011 through an additional four option years. Advanced Chemistry Development, Inc., (ACD/Labs), the market-leader in physiochemical prediction software, unveils a new platform encompassing all of its physicochemical, ADME, and Tox prediction capabilities. Optimizing Laboratory Informatics Implementation and Performance Across Industries This spring, informatics experts across an array of industries will share their expertise at the 8th Forum on Laboratory Informatics, taking place March 28-30, 2011 in Philadelphia, PA.